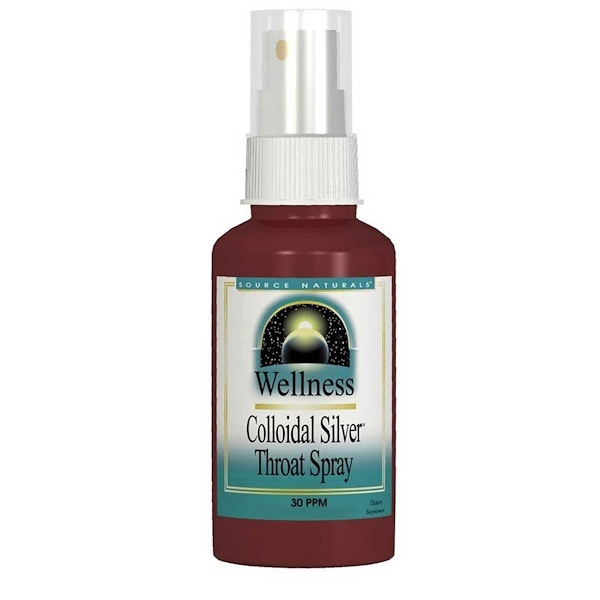 Wellness Colloidal Silver Throat Spray is produced using a unique process which creates homogeneity, minute particle size, and stability of the sliver particles. No animal proteins are used. 1 to 2 sprays per day for no more than 10 days at a time. This product is not intended for children or for continuous use. Hold sprayer close to mouth. Press button briskly for a full spray to the back of mouth and throat areas. Potassium alginate, distilled water, and edta. Suitable for vegetarians and hypoallergenic: contains no yeast, dairy, egg, gluten, corn, soy or wheat. Contains no sugar, starch, salt, or artificial color, flavor or fragrance. Caution: Do not put this product in the eyes. If you are pregnant, may become pregnant, or breastfeeding, consult your healthcare professional before using this product.